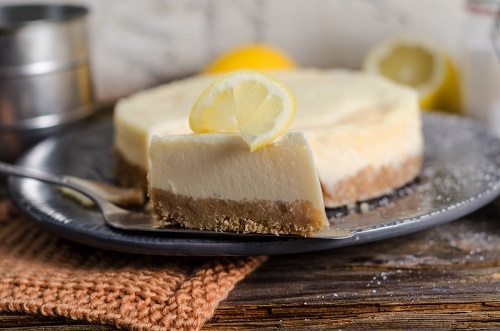 When life gives you lemons, make cheesecake! To begin, you’ll need a package of cream cheese, ½ cup of frozen lemonade concentrate and a couple cups of whipped topping. Beat everything together with an electric mixer and spoon the mixture into a graham cracker crust. Chill your cheesecake in the refrigerator until firm and you’ll have a new way to enjoy a summertime drink.